Once rising 15 feet high (with parapets rising an additional six feet above that), Hadrian's Wall stretched 73 miles from the west to the east coast of Northern England. It was an awesome feat of ancient engineering, the foundations of which can still be seen today. Back then of course it was known as Britannia, and it was the northernmost outpost of the Roman Empire. It was a dark and untamed region where Roman soldiers, if not battling the freezing cold, were constantly on guard from marauding barbarians. While the walls themselves were fifteen feet high, 9-foot trenches were dug in front as well. Would-be invaders looking to scale the wall were looking at a nearly 30-foot climb. Even if invaders did manage to scale the wall and get to the other side, a 120-foot wide ditch called a Valum still stood in their way. 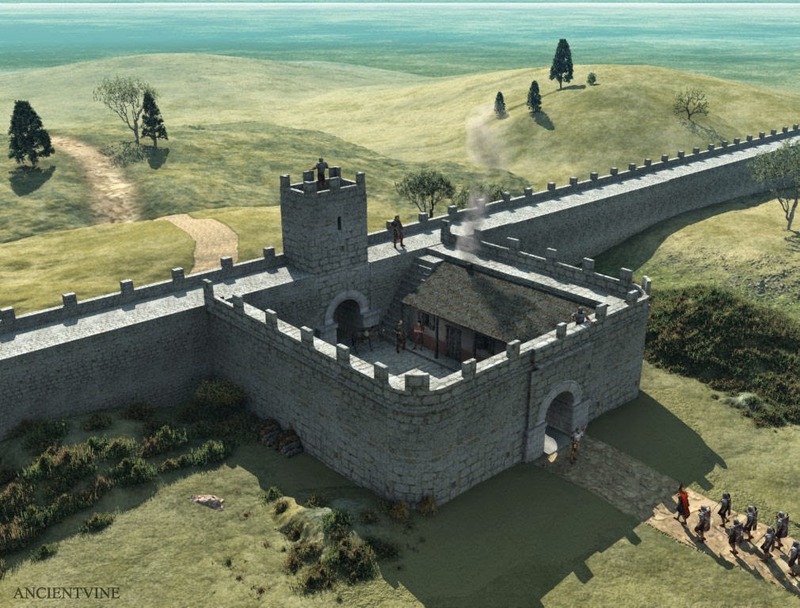 All told, Hadrian's Wall was the Roman Empire's largest stone fortification. Three legions, perhaps as many as 25,000 men, were involved in building the wall. As vast a project as it was, it took Rome just 5 years to complete the project, a great feat of engineering in itself. The wall itself stood for more than 300 years. If you love engineering history like we do, you'll really like this video documentary slice about the Roman Colosseum from the popular History Channel, Engineering an Empire.